for all engine and transmission makes and models that are in the current market place. Do you wish to eliminate non productive engine handling procedures? Do you have the correct latest equipment to repair your engines? 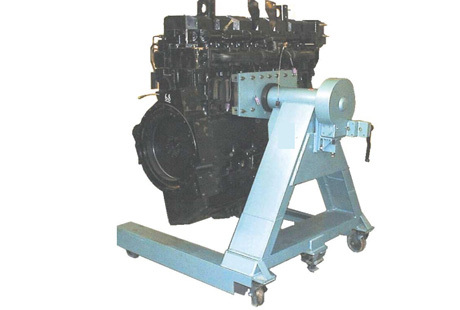 We offer complete packages of engine stand to Cummins, Perkins, Isuze, MTU, CAT, Komatsu, Volvo and many other OEMs. A significant feature of using a HEMS engine stand or transmission stand is in the increased ability of manoeuvrability. This saves considerable time when it comes to repair - up to 50% in labour hours - by eliminating non-productive handling procedures, this also reduces workplace injury. With a noted reduction in labour hours and costs, using HEMS engine stand and transmission stands equates to increased profitability. Complying with all current working practices and safety regulations, HEMS engine stand and transmission stands cover capacities from 759kgs up to 20,000kgs and are suitable for new build, repair and refurbishment operations. 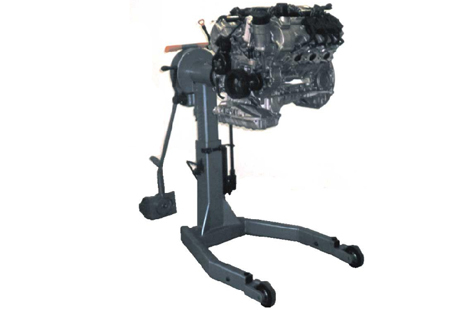 HEMS smallest range of engine stand suitable for smaller applications with the capacity of 760KG. 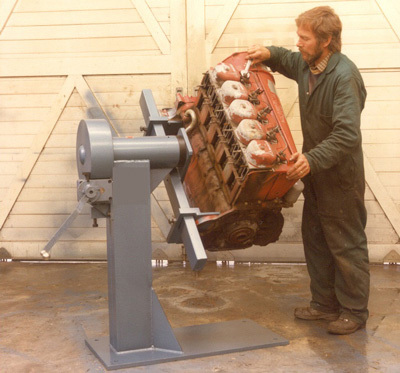 This is one of the popular models and it is suitable for many engine make/models i.e. MTU 460C, Cummins ISX15, M11, Perkins 403F, 1103, Komatsu 6D125, 140 , CAT and many more engines available in the market place. 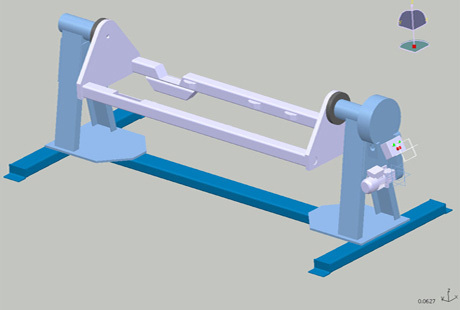 This model is within our heavy duty range with the capacity of 3000 KG. Suitable for many engines i.e. Perkins 2206, 2506, CAT C9, C15, 3406, Cummins QSX15, QSK19, K19 and many more engines in the market. 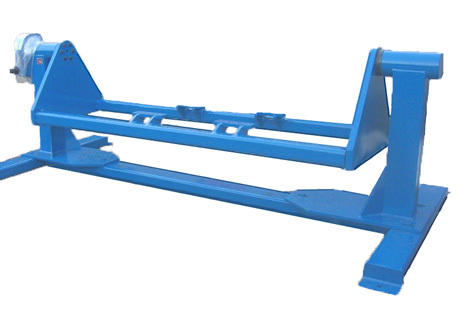 Heavy duty stand with the capacity of 5000 KG and suitable to handle many engines in the market i.e. Cummins K38, K48, MTU 12V4000, CAT 3508, C27, C32 and many more engines. This model is within our heavy duty top of the range with the capacity of 7000 KG . 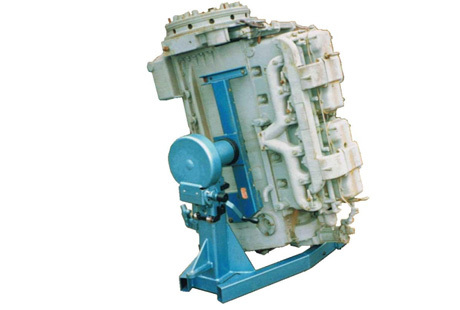 This model has the option of motor drive for larger applications i.e. Perkins 4006, 4008, CAT 3512, 3516, Cummins QSK60, QSK 50, KV50 and many more engine models in the market. 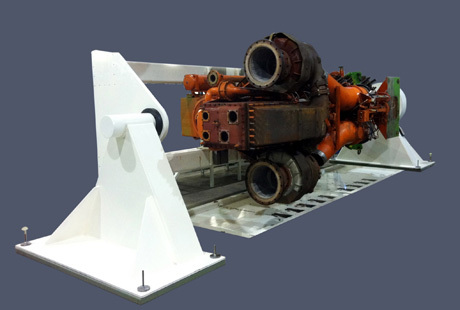 HEMS largest model of engine stand with the capacity of 20,000 KG Suitable for largest applications i.e. Cummins QSK78, QSK95 or QSK120. Please contact your local representative today for any assistance!